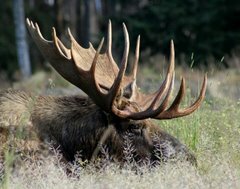 Moose Tracks: What Is A "Democrat"? Founded by slave owner and indian fighter Andrew Jackson in 1828, the Democratic party is the party of Slavery and Jim Crow in the United States. One might say that Democrats have never met a form of slavery they don't like, as today they are quite commonly Socialists, and would have elected one Bernie Sanders, an avowed Socialist, as their presidential standard bearer if the Clinton Crime Family had not rigged their own primary. At the moment, the Democrat party seems intent on tearing down the statues of their own Civil War heroes, the bulk of which were erected by Democrats in the Jim Crow south, or it's border states. The current Democrat Minority Leader in the House, Nancy Pelosi's father erected some nice ones in Baltimore that the linked article points out as now being part of Democrat history that they would like to erase. Barack (BO) Obama was president from '09-'16 (the mourning goes on) and from '07-'10, Ms Pelosi was Speaker of the House -- somehow, neither Nancy or BO ever managed to mention that any sort of Civil War statue was worthy of any concern ... let alone being removed. Democrats, which I call "The Party" (TP-D) since much like the old Communist Party in the USSR, they dominate the vast Administrative / Deep State where the real government power is at today, academia, the proffessions, finance, the wealthy, corporate CEOs, and of course the media -- both the admitted fake Hollywood entertainment sort, and the "stealth Fake" supposed left wing "news". Since they are so dominate, their whim of the moment is always made to sound like brilliant wisdom falling from heaven -- or more likely in their case, an official howl from Satan himself, since Democrats are not very oriented to anything about God and Heaven! "Memory", or "consistency" are terms which Democrats simply don't consider of any use --- OK, so they supported slavery, created and presided over Jim Crow, founded the the KKK, put up all the statues honoring confederates in the first place, and up until very recently, they could care less about any of it. So? They suddenly decided it was politically expedient to tear them down. You didn't really expect them to honor any sort of historical memory or consistency did you? What part of "we make the rules and you just kneel" is it that you have failed to understand? The idea that they have suddenly decided that their own statues are "bad" is a great example of how the Democrat mind works -- POWER, POWER, POWER!